David Threlfall and Rufus Hound are appearing in an acclaimed new West End production of the classic comic tale of Don Quixote – and we have a pair of tickets to give away. What's more, our winner will win a night's accommodation in the heart of London. Threlfall plays the title character – an eccentric old man who, inspired by the stories he reads, heads off on a rumbustious quest to become a wandering knight accompanied by his faithful and equally ill-suited servant Sancho Panza, played by Hound. This Royal Shakespeare Company's production – which features 20 actors and a band of lives musicians – was described as 'joyous' by The Guardian and 'magical' by the Daily Telegraph and is playing at the Garrick Theatre following a sell-out run at the Swan Theatre in Stratford-upon-Avon. Adapted for the stage by James Fenton and directed by Angus Jackson the show runs until February 2. 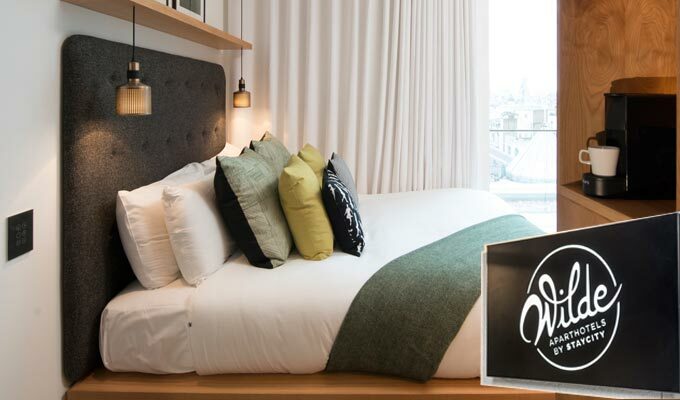 One lucky will receive a pair of Band A tickets to see the show plus an overnight stay for two including breakfast at the Wilde Aparthotel by Staycity, perfectly located in the centre of London's cultural quarter. The hotel's designers were inspired by Oscar Wilde with details intended to entice and amuse. For your chance to win answer the following question by 5pm on December 7 when we will select the winner at random from all correct answers received. Good luck! Book your tickets now (from £10) at donquixoteplay.com. Terms and conditions: One reader will receive a pair of Band A tickets to see Don Quixote at the Garrick Theatre London plus an overnight stay in a twin or double room at the Wilde Aparthotel by Staycity on the Strand. Breakfast will be served at Smith & Wollensky directly opposite the Wilde Aparthotel. Guest must show room card to the waiter. Valid from January 1 to 22 for Monday to Thursday performances, subject to availability. No cash alternative. Travel not included. Usual Chortle terms and conditions apply.